You are here: Home / How Good And Bad Is Aquarium Salt For Betta Fish? Betta fish is a sensitive fish and just like its shiny colors, it has shiny tantrums too. It gets easily irritated and stressed with sudden atmospheric changes and easily affects its health with this behavior. Aquarium salt is beneficial for fishes if used properly and after due research. How just one extra ounce of salt can kill the fish and an ounce less can become ineffective is what you can observe clearly from your Betta fish. Before we start talking about the ways aquarium salt is good and bad for Betta, let’s get some facts straight about what aquarium salt actually means. Aquarium salt comes mostly in two types. What does Aquarium salt do to The Betta? How do you apply it for best results? When to not use Aquarium salt? What does Epsom Salt do to The Betta? When to not use Epsom Salt? Aquarium salt is exclusively found in aquarium shops and fish sections of general stores. It is the cheapest of all fish salts used. It can also be found as non-iodised salt, table salt or even ice cream salt. It is basically just salt that we use in our daily lives. It has limitless medicinal properties which are helpful for curing Betta fish diseases. Epsom salt is a saline laxative which is also used as a remedy for swelling by humans. It works the same way for fishes too. It is less dangerous to fishes as compared to aquarium salt. It can be bought easily in general stores, first aid aisles and even in gas stations. Epsom salt often comes with scent and dyes for human usage, but for fishes make sure it does not contain any of them as they are harmful for them. This is the basic information you need to have about the aquarium salts before you buy them from the stores for you Betta fish tank. But, the usage of these salts effects the way a Betta would benefit or injure itself from them. So, let’s focus now on how to use these salts for a healthy fish life span and most effective usage. Aquarium salt is a warrior against infections, parasite ich, bacterial growth, sticking of velvet on the scales of the fish. It helps in enhancing the healing process, and replenishes the fin/tail condition and shine from the rot. Aquarium salt is pretty versatile in its nature and the cheapest too. But, you should know how to use it and for what conditions. A bath is quite different from a dip. There is difference in the concentration levels of the mixture as well as the duration for which the Betta fish has to stay in it. 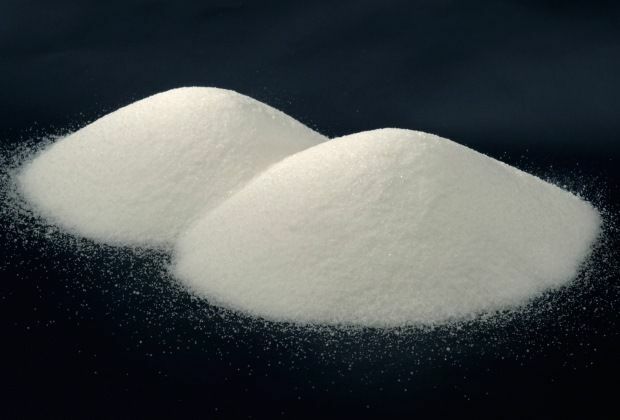 Aquarium salt dip requires 1 table spoon per gallon of water. The time duration varies from 5 to 8 minutes depending on the severity. If the disease is related to fin rot or fungal infections, limit it to 5 minutes and for anything severe extend to 8 minutes. Important note: Never exceed the time duration over 8 minutes as it will decay your fish skin instead and burn its skin. After the fish has been treated in the dip for the given time, it needs to be treated further in a lesser concentrated mixture of salt bath for a longer duration. Aquarium salt bath requires 30 minutes to give the window of proper healing to the fish. After the fish has been treated in dip and bath, it needs to acclimate before it is reintroduced to the fish tank. The doses bared by the fish can cause harm to the fish too and thus after acclimation in a reviving station tank, it can be put back in its normal tank. Aquarium salt is of higher power and concentration and is useful for many healing purposes. But, when it comes to treatment for bloating, this salt should not be used. Your Betta needs to pass fluids and water and aquarium salt may become a barrier in the case of bloating. Epsom salt is famous for its quality of reducing the swelling in case of humans so does it help cure swelling in fishes too. Betta fish is compatible to Epsom salt and is preferable to aquarium salt. Epsom salt works the same for both humans and fishes. It works as a laxative and help cure swim bladder disorder. It can also help the fish to be able to sink and swim better. For Epsom salt, only 1 table spoon or 3 tea spoons per gallon are required. The fish needs to stay in the mixture for 10-15 minutes depending on the severity. For less severe cases like constipation or wound infection keep it for 10 minutes and for more severe cases like bloating and Popeye disease extend to 15 minutes. Important note: Never exceed the given time frame or it will further degrade the health of the fish instead of curing it. Often Betta does not require a salt bath after dipping as it is not affected much by this salt. So, after dipping acclimating the fish in a reviving tank to avoid possible shocks or trauma is important. In any case apart from swelling, bloating and wound infections prefer avoiding Epsom salt. But, using it at times to treat even your healthy fish its immune system will be increased. However, the salts that you use are external chemicals and any external object will somewhat affect your fish breeding process. Hence, you should use them only if required and have the information of their importance gathered before you use them in the fish tanks. The most required thing is to take good care of it on a daily basis by a compatible fish tank setup and maintaining proper food and diet.